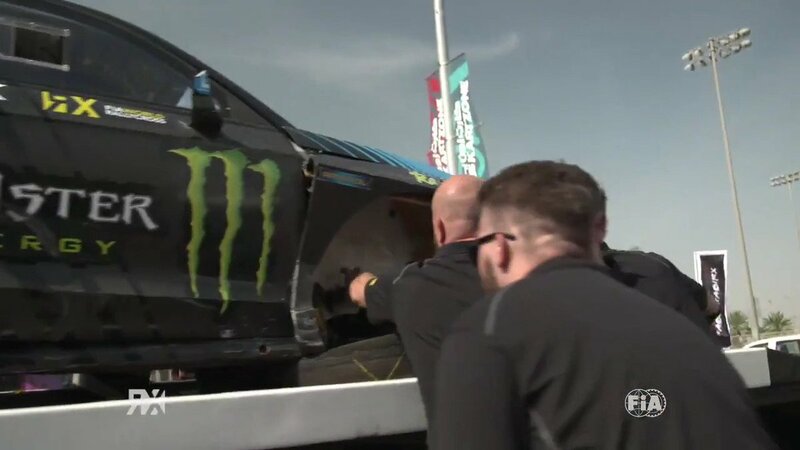 The FIA World Rallycross Championship presented by Monster Energy has officially landed in the United States as the much-anticipated World RX of USA held its official launch with the grand unveiling of the brand new rallycross track at Circuit of The Americas in Austin, Texas. The iconic motorsport facility will welcome the world’s leading rallycross drivers on September 29-30 for Round 10 of the 12-event season, marking the first time the premier World Rallycross Championship has taken place on American soil. Tickets purchased in advance for the entire weekend will start at $30 and are available for purchase at www.WorldRXUSA.com. The purpose-built track will see the world’s top drivers go head-to-head on the only permanent Rallycross track in the United States. The racing will be located in the stadium area of the facility between turns 12-15, creating a natural amphitheatre that ensures fans can see the entire track from any seat. Furthermore, World RX of USA will give event-goers the full festival experience with world-class music acts, action sports, and the finest food to complement the spectacular racing action. World RX Managing Director for IMG Paul Bellamy said, “The inaugural World Rallycross (WRX) of USA will be a key moment for the World Championship, and we believe COTA is an ideal venue from which to showcase the series to a new audience. We have been wanting to race in the USA for a while, and the opportunity has now presented itself to come here. With competing brands, such as Volkswagen, Audi, Peugeot and Renault, the USA is a significant territory for all involved with the World Championship as well as being integral to its continued global growth. “Those attending World RX of USA will benefit from COTA’s world-class facilities and a fantastic entertainment program around a venue designed to ensure spectators get the most from the short, sharp, and fast-paced racing action. We have absolutely no doubt US fans will love World RX when it arrives in September. Tickets have been priced at a level to entice all fans to come and sample a Rallycross weekend for the first time." In addition to World RX of USA, the United States’ most accomplished home-grown rallycross drivers, including Tanner Foust and Scott Speed, will race at COTA on the same action-packed bill as part of the all-new Americas Rallycross Championship (ARX), with more high-profile drivers set to be announced soon. The World Rallycross of USA will be broadcast live on FloSports with a highlight show on CBS Sports. Tickets are on sale now with early bird discount prices beginning from $30 for weekend admission, which includes two action-packed days of World Rallycross action, music and entertainment.